PRIDE and Farm Credit Canada (FCC) have formed an alliance to offer an attractive credit program to our customers. Interest charges do not begin until June 20, 2019 regardless of your order date. Interest charged by Farm Credit Canada (FCC) will be Prime plus 2.95% beginning June 20, 2019 (based on a floating Prime rate). 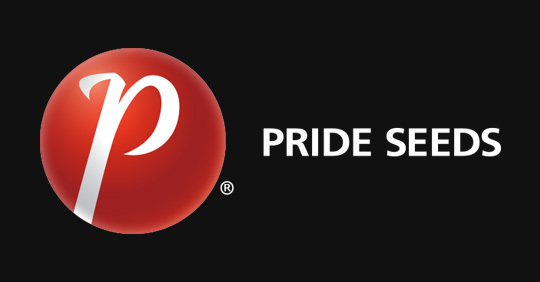 PRIDE Seeds will subsidize the interest cost for the period June 20, 2019 to November 29, 2019 at the rate of Prime less 3% (cannot be less than zero and is based on the floating Prime Rate). PRIDE Seeds will make its subsidized payment directly to FCC on behalf of the customer on November 29, 2019 or earlier if the account is paid in full prior to November 29, 2019. The statements the customer will receive from FCC prior to November 29, 2019 will include interest charges that may or may not be subsidized by PRIDE Seeds. March 15, 2020 – Unpaid balance due in full. Beginning March 16, 2020 – 1.5% per month charge on overdue balances. FCC applies interest to the account daily. All PRIDE Seeds products are eligible for Partner Plan Financing based on a minimum purchase. Applications must be completed no later than April 24, 2019 given this loan is for seed to be planted in the spring. For new applicants or increases to Partner Plan Financing, the customer completes an FCC Financing Instruction sheet with complete customer contact information, dealer name and amount requested. The customer then either sends the form by mail to PRIDE Seeds, P.O. Box 1088, Chatham, ON N7M 5L6, Attention: Credit Department, by email to ksterling@prideseed.com or by fax to 519-354-8155. FCC will contact the customer by phone and will complete the applicable forms through discussion with the customer. PRIDE Seeds or FCC will forward the completed documents to the customer for signature. Photo ID copies must be provided by the customer with the signed documents. For subsequent years, loans may be auto-continued at the discretion of FCC if the prior loan amount was less than $250,000; there has been no material change in the credit (Beacon/BRP) score and payment history is good. In all cases where credit has been approved, PRIDE Seeds will invoice the customer directly. Payments should be made to PRIDE Seeds, P.O. Box 1088, Chatham, ON, N7M 5L6 Attention: Credit Dept. (Do not make cheque payable to Farm Credit Canada). What PRIDE Seed products are eligible under the Partner Plan Financing program? All PRIDE Seed products are eligible for Partner Plan Financing based on a minimum retail purchase. Your order can be any combination of corn, soybeans, forages or inoculants. What if I buy more units of seed than listed on my initial order form? No problem. Just call 1-800-265-5280 Ext. 231 for information on increasing your original credit application level. Where do I send the FCC Financing Instruction sheet and who will complete the credit review? or email to ksterling@prideseed.comor fax 519-354-8155. Farm Credit Canada will contact the applicant. Where do I forward my payment? If you would like up-to-date information on your outstanding balance at any time, contact PRIDE Seeds at 1-800-265-5280 Ext. 219 or Ext. 245. Does this change the way I do business with my PRIDE dealer? What if I need to switch varieties based on spring conditions? Your PRIDE dealer is a valuable resource for information, ordering, receiving or switching PRIDE Seed products. The only thing that changes by participating in our Partner Plan Financing program is that you will be dealing with PRIDE Seeds directly for account information and payments. We’re here to help. Call our Customer Service Department at 1-800-265-5280 Ext. 219 or Ext. 245 if you have any additional questions about our Partner Plan Financing program or PRIDE Seeds products.